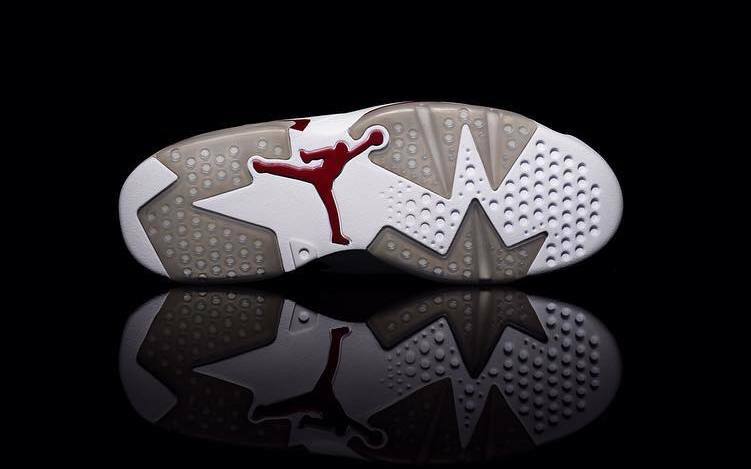 A new take on the Maroon 6. 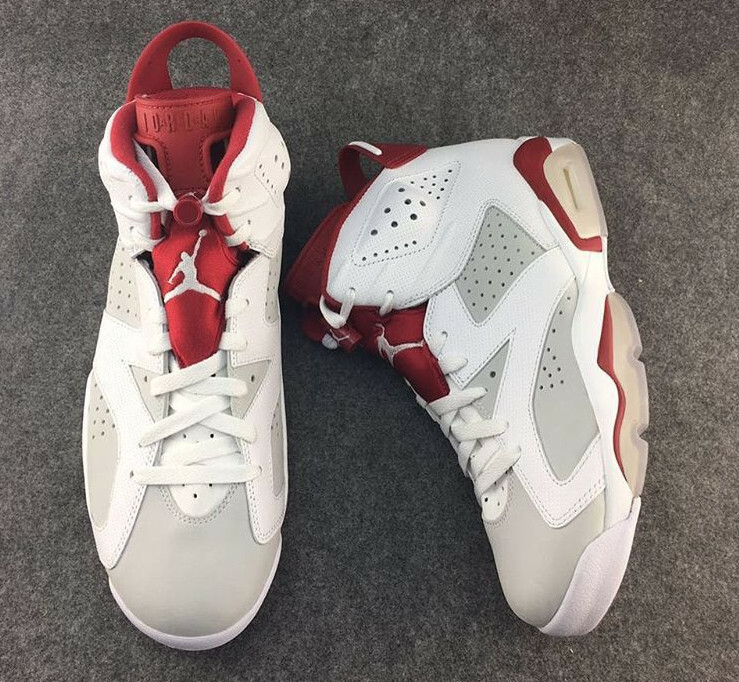 The Air Jordan 6 will look to the Air Jordan 7 next year with the release of the "Hare" Jordan 6, pictured for the first time above. News of this sneaker's arrival first emerged in May courtesy of leaker @baltsneakershow. The shoe takes the Bugs Bunny colorway of Michael Jordan's seventh signature model and ports it over to his sixth, bringing with it the grey nubuck sections and the red accents. 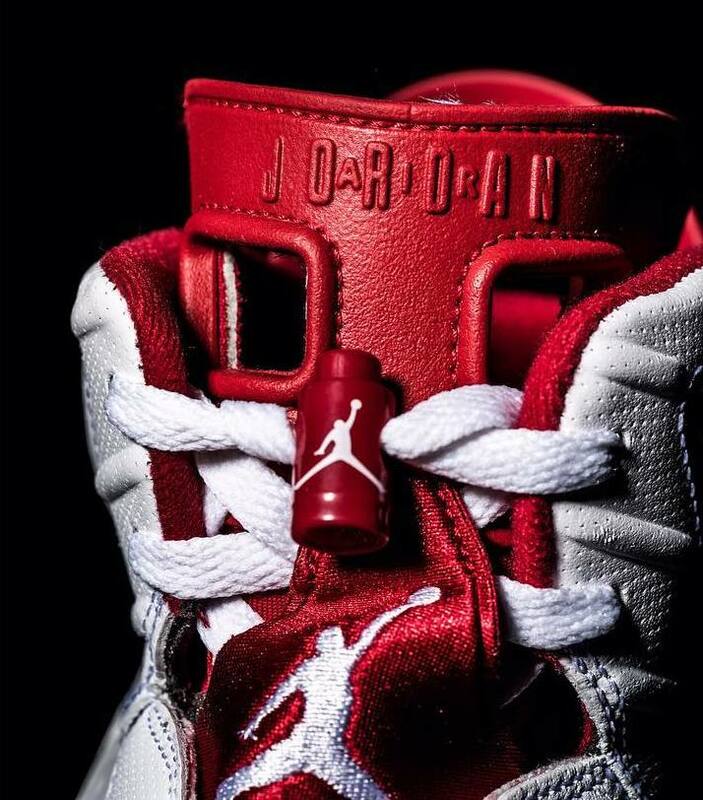 There also looks to be some sort of texture on the upper separating its leather from the standard stuff found on Jordan retros, but that aspect of the design is harder to make out. 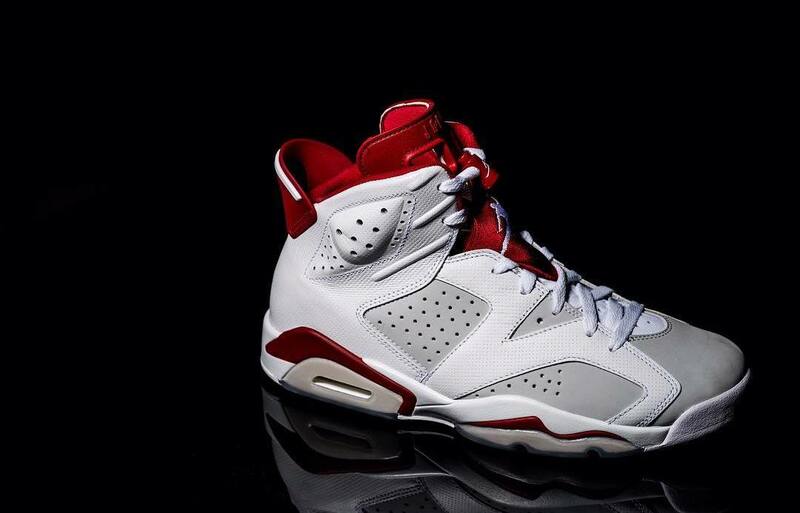 If rumored release date info holds, the "Hare" Air Jordan 6 release date should land somewhere in spring, 2017. 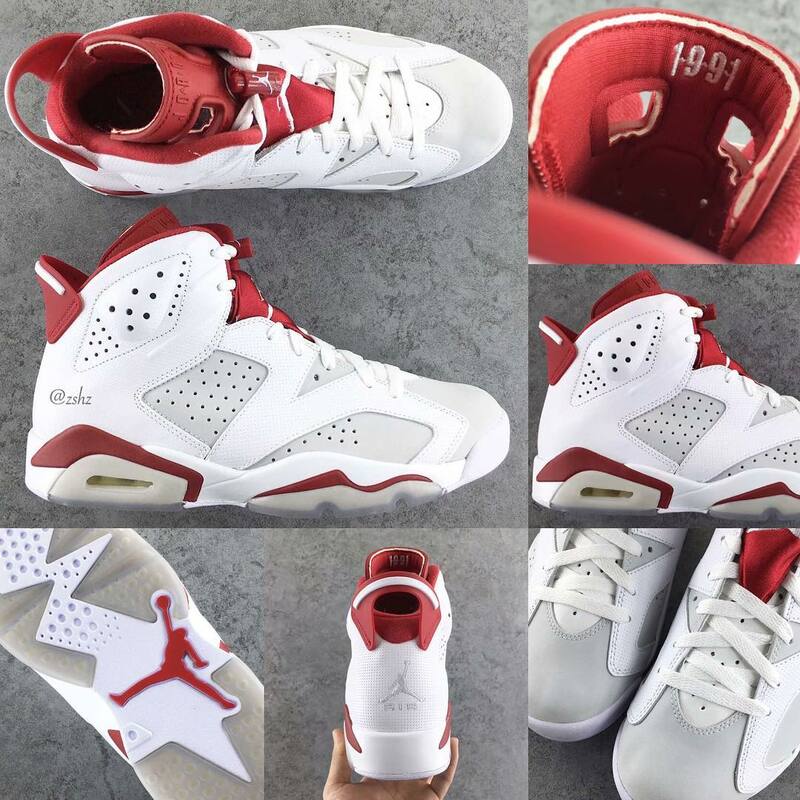 Air Jordan 6 Retro "Hare"
UPDATE 10/16: New photos of the "Hare" Air Jordan 6 Retro via sneakerprophet_. 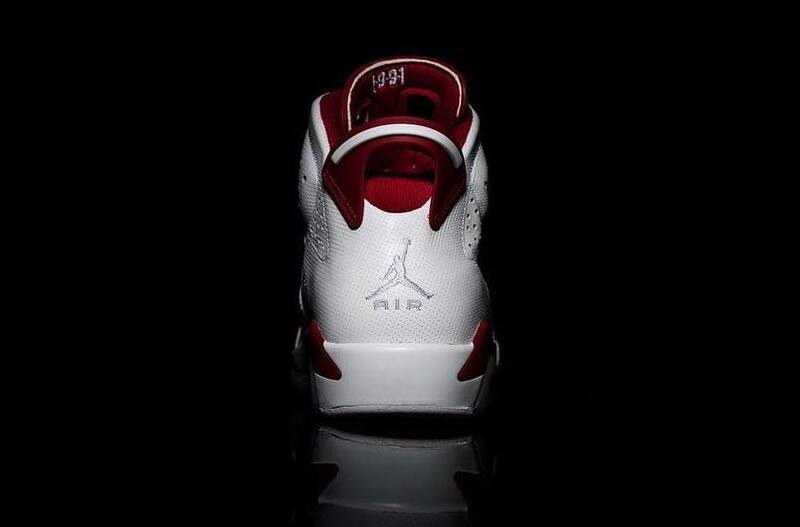 UPDATE 10/28: The "Hare" Air Jordan 6 is actually the alternate of the Maroon 6 colorway. 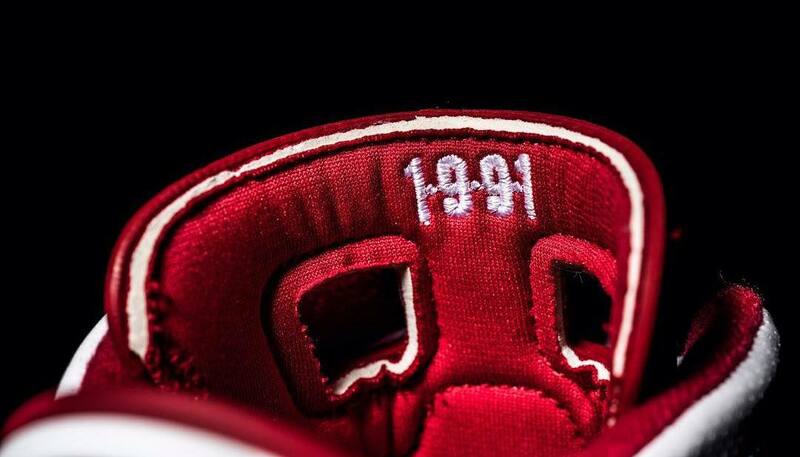 These "Alternate 91" AJ6s will be dropping on Mar. 11, 2017.